ITarian Remote Access: The Best Remote Desktop Software Out There! In an era where competition is tough and business issues demand immediate and quick solutions, organizations need a tool that can address issues and respond to business requirements at a faster rate. Employees who are not physically in the enterprise location may find it hard to respond to unforeseen problems that need prompt solutions. However, know that such dilemmas can be avoided using remote access software. With the help of this technology, you can enable immediate addressing of issues anywhere at any time. However, finding the best remote desktop software for your business can be a challenging thing to endure. The excessive amount of claims and promises made by most remote desktop software providers out there can be a bit overwhelming and too much to digest, leaving your concerns unheard and ignored. Nevertheless, you still need to find the best remote desktop software so you can maximize your business efficiency and productivity. That’s why today, we’re here to help. We’ll put an end to your never-ending search for the best remote desktop software as we introduce you to ITarian Remote Access. What is ITarian Remote Access? ITarian Remote Access is a free software that provides remote access solutions to users who want to remotely access and use applications, desktops, data from any device. One of the aims of ITarian Remote Access is to eliminate the need for the physical presence of a user to get a given task done. With the help of this software, you’ll be able to connect to your remote computer with such ease and comfort, allowing you to administer the remote device as if you’re in front of it. Secure remote access – This feature makes ITarian Remote Access one of the best remote desktop software in the market. It offers strong video encryption by default via Secure RTP protocol so you can have the most protected remote access experience in terms of security. This feature prevents any unwanted eavesdropping and third-party recordings, so no sensitive and important information is spilled. Simple yet organized interface – Another reason why ITarian Remote Access is one of the best remote desktop software is because its tools and features are packed in a neatly organized console. This feature is important as it makes your remote desktop experience a lot easier. Without a simple yet organized interface, you can be lost in a heap of tools that aren’t easy to use and understand. 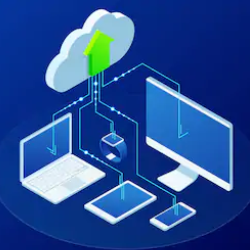 Firewall-Free – If you’re planning to acquire or purchase the best remote desktop software for your business, then go for the one that can easily connect you to your remote device from anywhere at any time. ITarian Remote Access uses industry technologies and protocols so you won’t have to configure your firewall settings first. It even works smoothly with corporate Network Address Translation systems or NATs. How to Download and Install ITarian Remote Access? Note that ITarian Remote Access automatically provides an ID number and password for each installation. These credentials are needed to successfully connect to a remote device or vice-versa. How to Connect to Endpoints? Make sure that ITarian Remote Access is also installed on the remote device you want to manage. Open ITarian Remote Access on your local computer. Get your client or the user of the remote device to open the same software as well. Get your client or the user send you the ITarian ID and password. If you're considering acquiring the best remote desktop software for your business, ITarian Remote Access can for sure, help. We ensure to offer you the best remote desktop software solution so you can maximize your business efficiency and productivity. If you want to know more about the product, or just remote desktop in general, give us a ring or subscribe to our email so you won’t miss out on all of our updates.